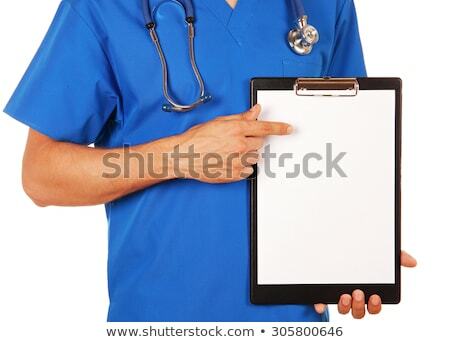 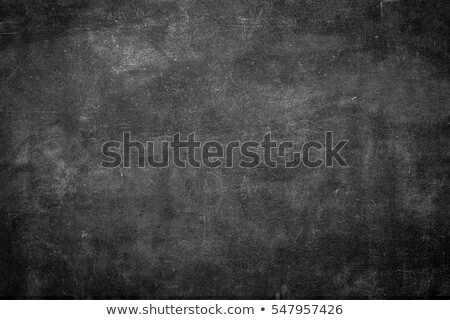 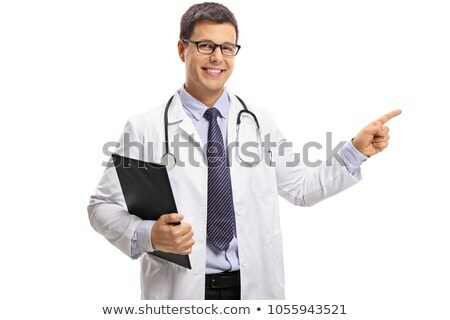 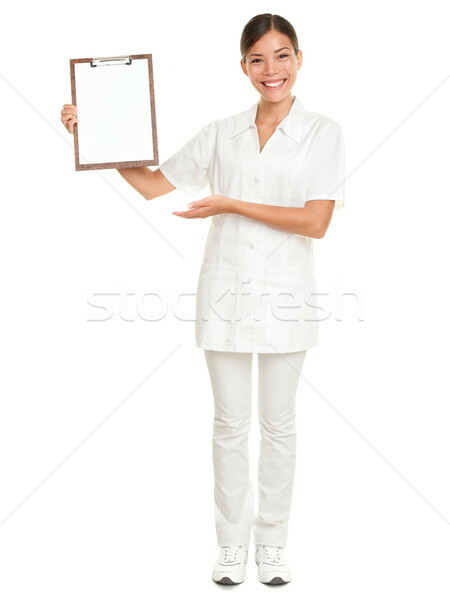 Foto stock: Enfermeira · clipboard · assinar · médico · mulher / Nurse showing blank clipboard sign - a medical concept. 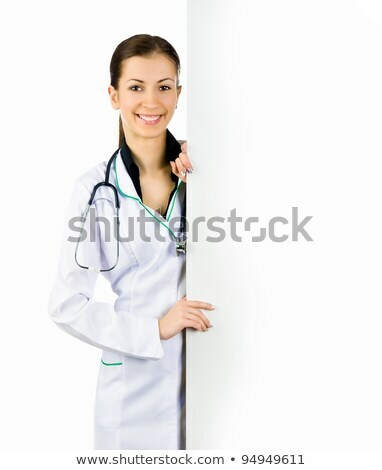 Woman doctor / nurse smiling happy isolated on white background in full body. 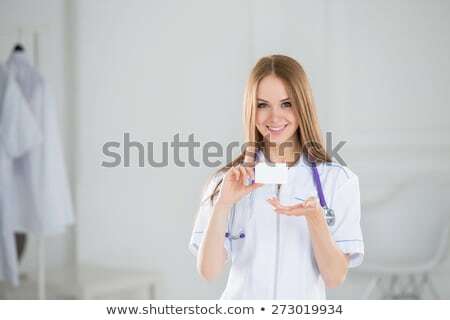 Mixed race Caucasian / Chinese Asian female model.